'What do you mean by this photo is for Amazon? Does that mean people will actually see me like this? Please, nooo! Or does the dog hope to achieve a camouflage effect with this and disappear from sight when taken out like that? Not sure if that will work on the beach, that means sand, not jungle! Which dog wouldn't dream to be dressed up like this? I mean, not only with a bikini, but also with a grass skirt and a lei! Or would that be most dog's worst nightmare? 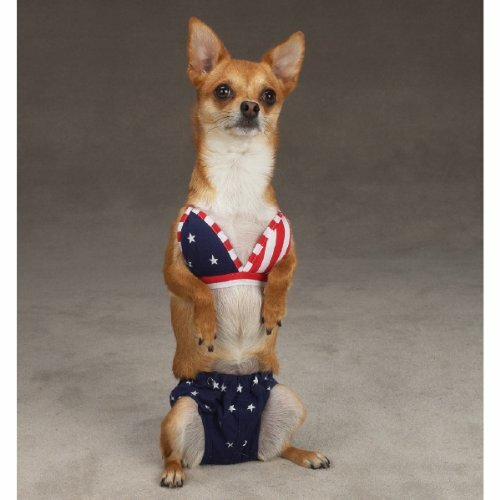 What would the neighbor's cat say if she would see a dog dressed like this walking down the street towards the beach? "Meow! Look at that stupid dog! If they would try that with me, I would claw the bikini to pieces and their skin also for good measure!" If this swimsuit doesn't make your dog the 'bark of the neighborhood', little else will ;-) Pink, fake leopard can't be beaten. This is also a great outfit for a more modest dog as it is a 'one piece covers all important parts' model. 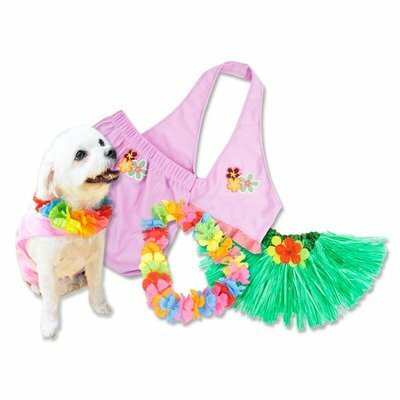 In case you really are not clear about that one ;-) Whilst I think warm dog clothes make sense for certain dogs and breeds that live in a cold climate, I certainly don't believe in dressing your dog up for the beach or pool party. 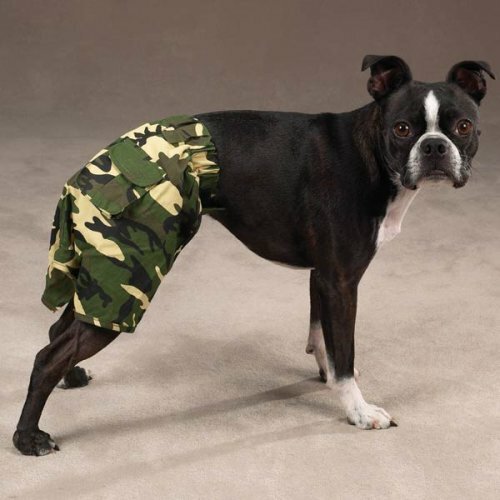 Swimsuits for dogs? Voice your opinion! My brother claimed he saw a dog wearing shoes, but nobody believed him. That's hilarious, do people actually dress up their dogs. I thought that only happened on Hollywood film set ;) Just let the dogs be dogs I say. Those poor dogs. I hate to see anything on a dog except maybe a jacket for the ones without much fur. And also - please take the dumb bows out of your dog's hair! For the pampered pouch this is great, my Mom pampers her dogs so much so they are treated like small children. it all depends on the type of dog you own. 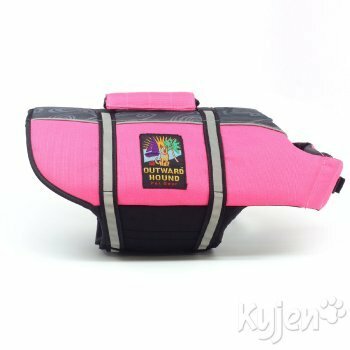 Small dogs tend to love this stuff, great products, fun indeed. Don't like the bikini, comeon a good eye catcher though and to that kudos. Whilst dog bikinis are just plain silly in my opinionated opinion, the stuff on the right side is indeed useful. Especially if you like boating, yachting, sailing or another water sport and want to do it with a dog that isn't an excellent and experienced swimmer. If you liked this article, feel free to use any of the social media buttons available to spread the word about it. I had great fun writing it, so I hope many people will have fun reading about these hilarious dog bathing suits! ... yes, these are useful! Also dogs can suffer from the heat, but cooling dog bandanas can help them to stay cool ;-) Learn how they work and why dogs love them! Also small dogs need a house for themselves ;-) Here the best models reviewed and where to find them. Hats for dogs are protecting them from sun rays and are making a fashion statement at the same time. Shaz, yes almost all dogs can swim, but some are really bad swimmer due to breed, size and / or age. Like for examples pugs, with their short noses and short necks they can have a problem to keep their head over water and their airways free. These life jackets are meant for dogs on boats, they are not meant for the beach. Most 'boat and yacht people' I met, that had a dog or two on the boat, had their dogs equipped with one, even breeds that are known to be excellent swimmers such as Labradors and Retrievers. My gosh, I had no idea there were so many accessories for dogs! Very interesting reading, but I question the need for life jackets. I've never known a dog who didn't have a natural ability to swim. Great! Glad you two liked it. I am more of a big dog person myself, but I have met some Yorkies that I really liked! - the Runtweiller is very definitely my better half's dog! I showed her your article by the way - she was in stitches! Lol, I like how you wrote 'My wife has a Yorkie ...' and not 'we have a Yorkie' ;-) I hope she enjoys the article, apparently some of these small dogs like to be dressed up! Those outfits are outrageous. 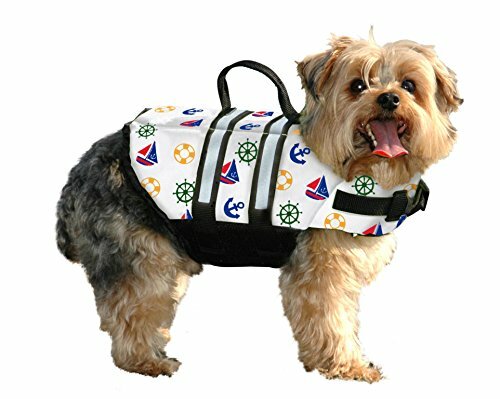 My wife has a Yorkie - just like the ones in the lifejackets snaps. I'll need to show her this article, she'll be tickled pink! My Mom is going to love this as she's a long time pouch pamper Godess with her dogs loving their clothing accessories. They are the wolves of the street! But they've been saddled with a reputation for being cute and fluffy. This toy breed dog was born to be wild and wants the jacket to prove it! I discovered how to make dog ramps for pickup trucks fast, easy and affordable. We just bought a used 3/4 ton truck and our large dog couldn't get in! We needed a cheap ramp, fast!